This chicken apple sausage has a delicious tart and salty flavor with a hint of pie spice. In addition to serving with dinner, this sausage is the perfect addition to any brunch. 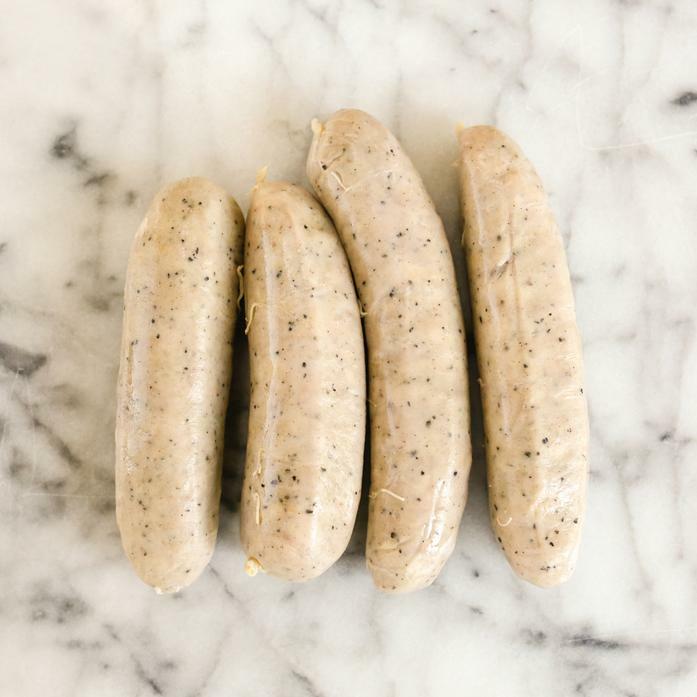 Brooklyn Cured makes small batch sausages and smoked meats with antibiotic-free meat and no added nitrates or nitrites. Ingredients: chicken, dried apples, water, white wine, salt, garlic, black pepper, sugar, fennel seed, nutmeg, cinnamon, natural pork casing.